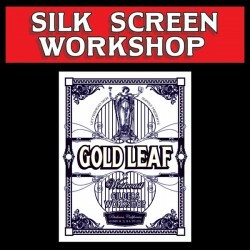 Learn to make Silk-Screens using Ron Percells methods. Silk Screening is a great way to Produce Top of the line Reverse Glass Signs and also many other forms of Signs and Graphics in Volume. Ron shares his Families techniques and materials to get anyone started with Silk Screening using a minimal budget to produce income. Then take you through the Preperation of the screens. Artwork types, Hand Drawn, Hand Painted or Computer generated. Expose Silk Screen with your Artwork, Light Types and Low-Budget Techniques Discussed. A 1 Color, peice of Artwork, this may be a logo or personal art and you're artwork will be used at the end of the class to burn (create) your very own screen to take home with you after the class.